After 2 images I went to sleep and the next morning I found out that my mount had not passed the meridian . A case off R.T.F.M. 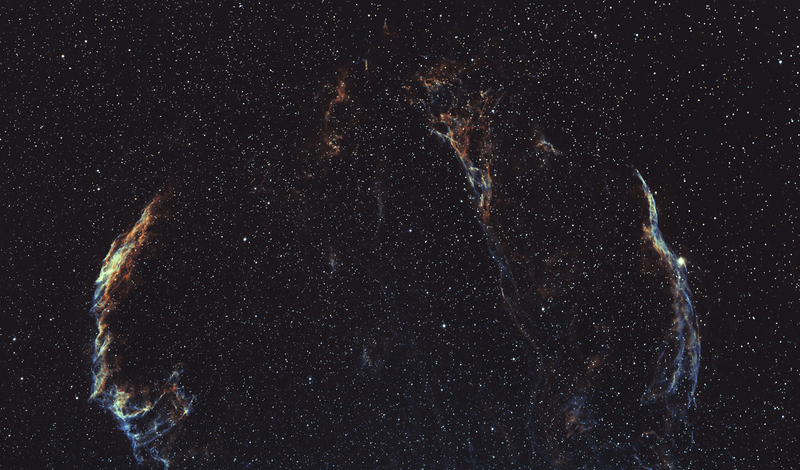 So just 2 images off OIII and H alpha processed.